When using GrADS you will most likely run into a situation where you will have to use superscripts or subscripts, and greek letters. This is actually really simple to do in GrADS. This tutorial will provide some basic information on how to control the font in GrADS, including superscript/subscript syntax. Font 3 is where the Greek symbols and characters are. 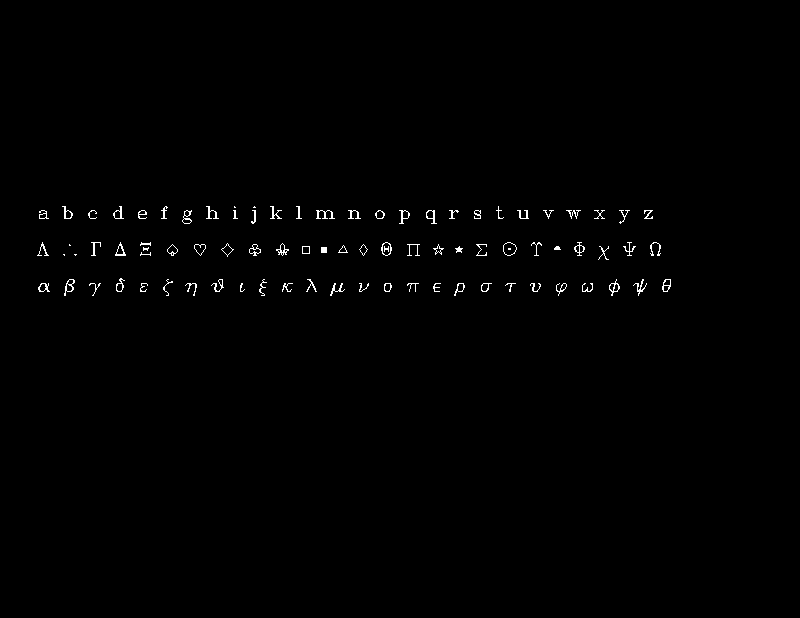 The image below shows the alphabet and the following Greek character representations of each letter (in both upper and lower case). This will write out the words: "pi symbol =" followed by the Greek symbol for pi (π). The `0 is set in, to reset the font to the default after the symbol. You can use this same method to get superscripts and subscripts within your text. Similarly to the font changes, you use the Grave [`] followed by the font location identifier. The identifiers are shown below. The `n is once again put in there for housecleaning, so you simply return to the normal font. Putting it all together, we can write the formula for the area of a circle. I'd like to know how to use different font types. I read something about in GrADS tutorial, but I don't know where can I download another fonts.